Bridesmaid jewelry, bridesmaid gift, wedding gifts, wedding jewelry. 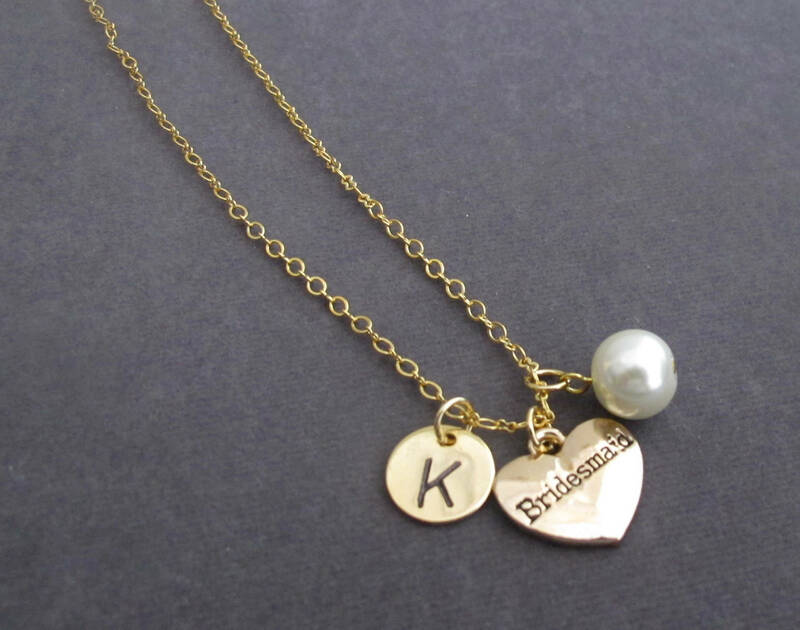 An elegant, feminine and beautiful bridesmaid gold necklace personalized with the Initial of the recipient and a pearl. Unique and stunning looking necklace. If you wish to replace the pearl with the birthstone of the recipient then please select from the drop down or else PLEASE MAKE A SPECIAL MENTION TO KEEP THE PEARL at the time of placing the order. Thank You!